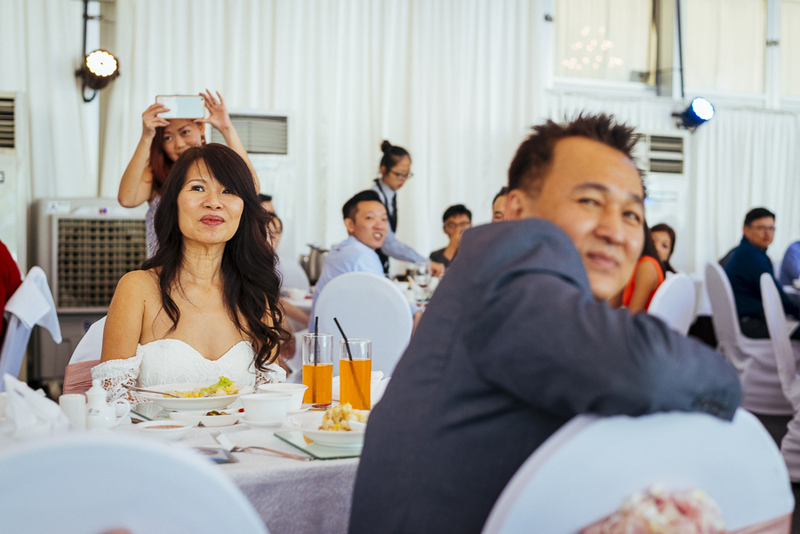 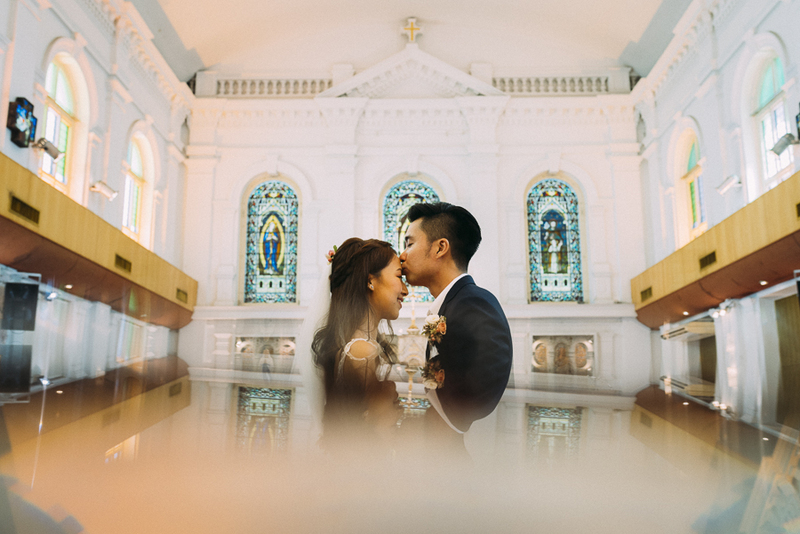 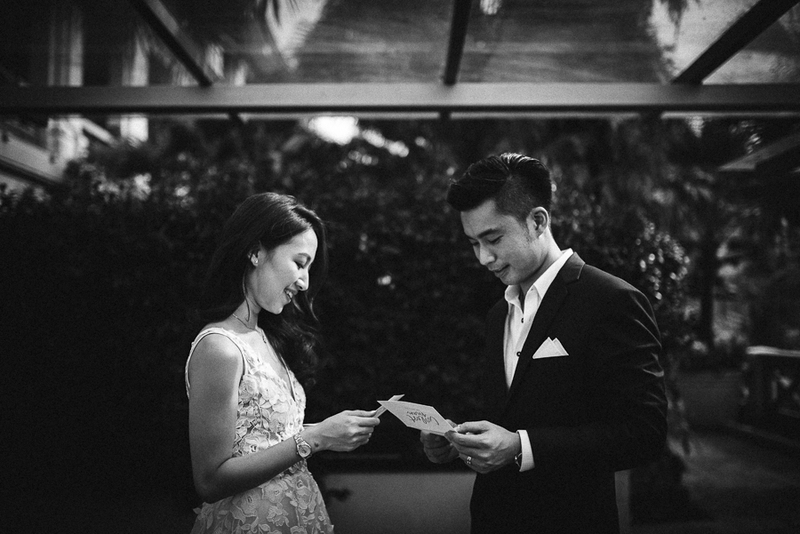 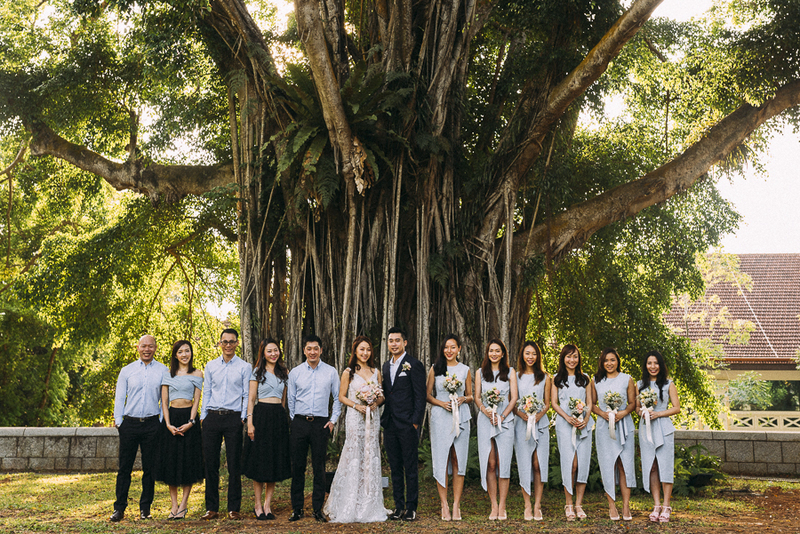 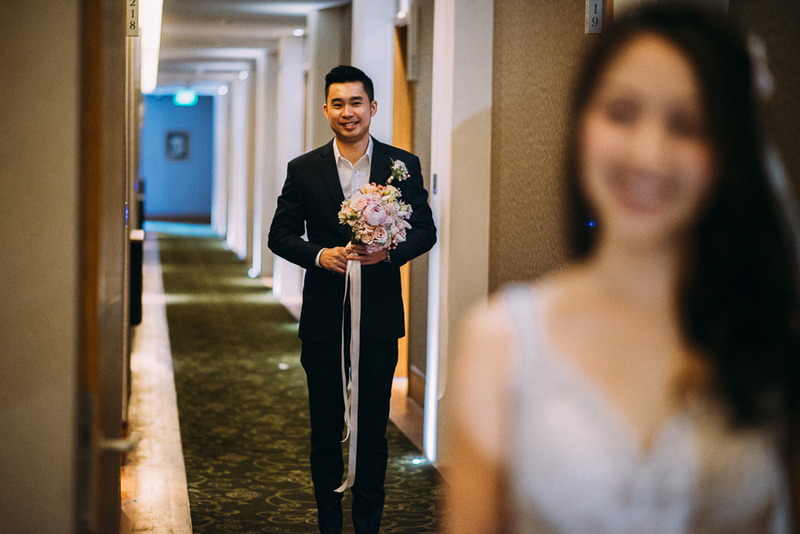 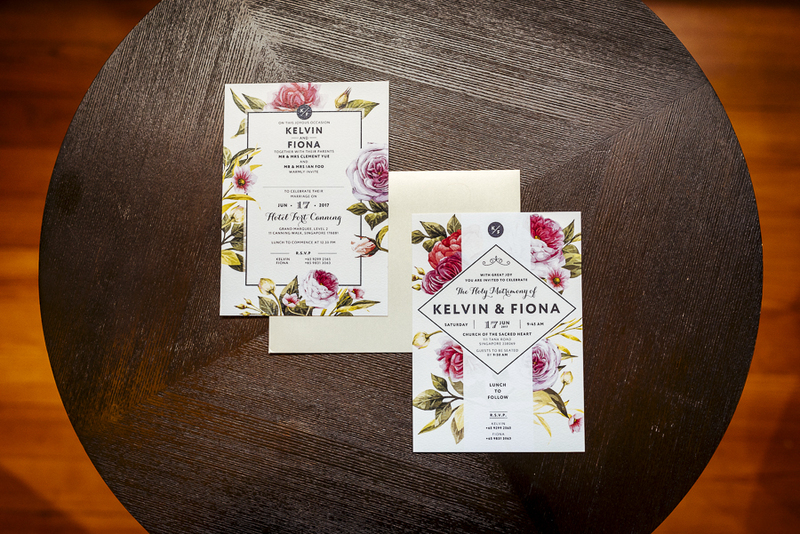 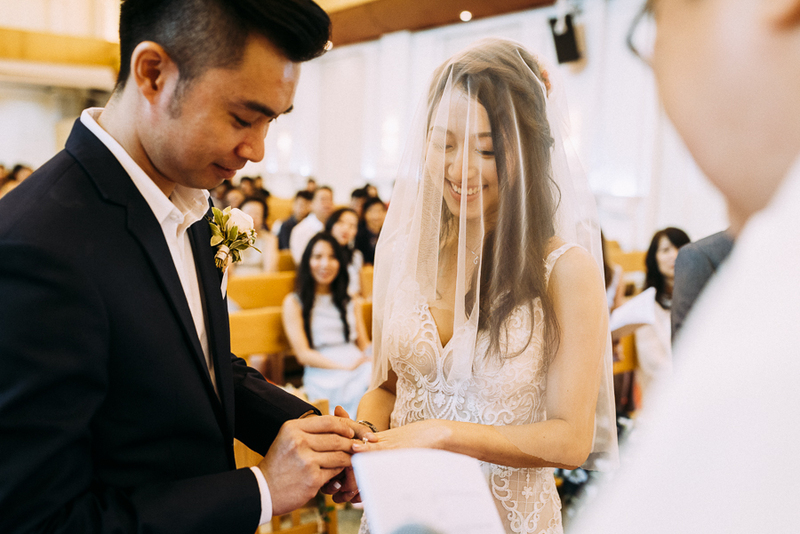 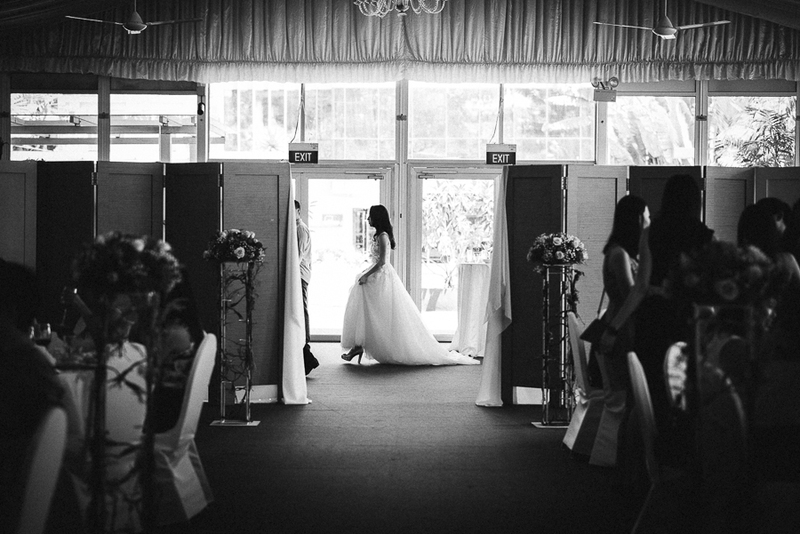 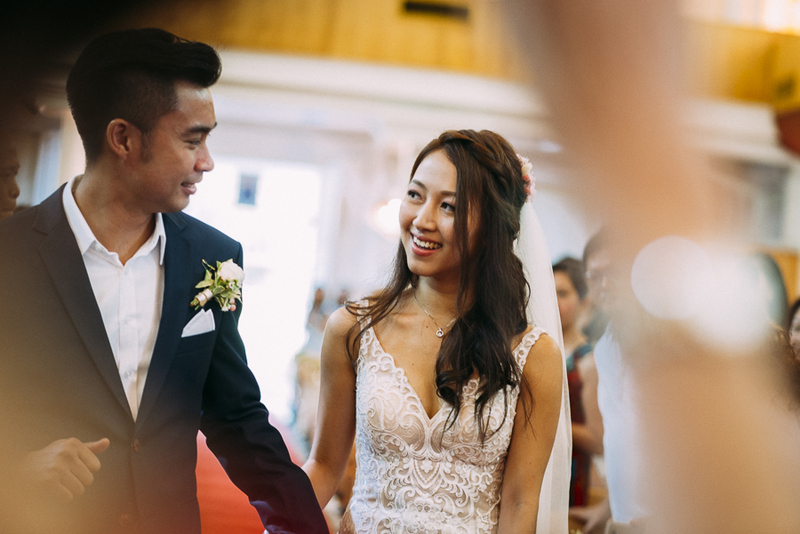 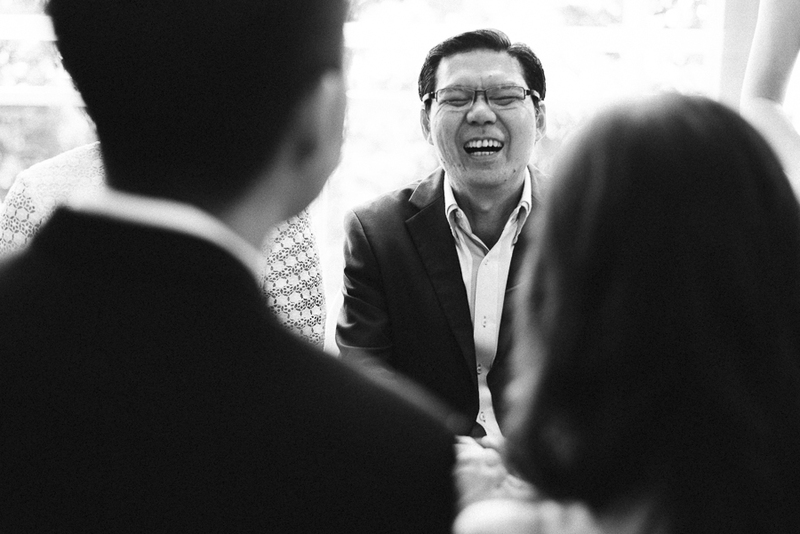 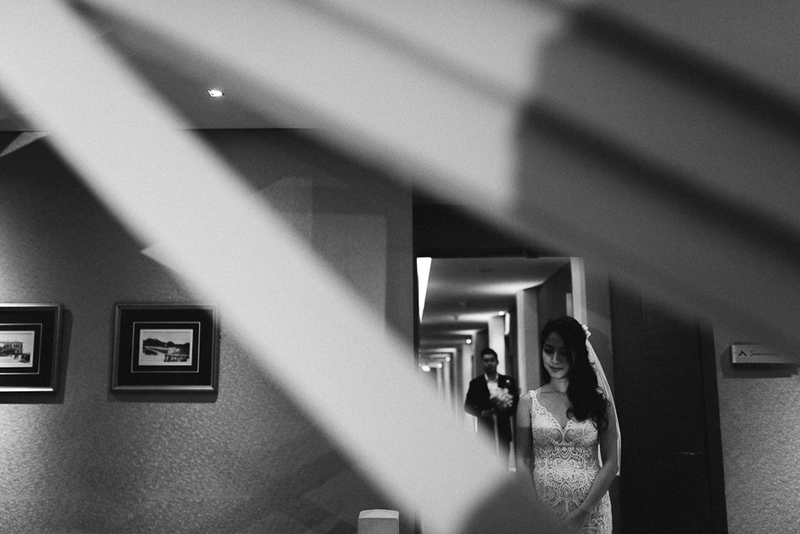 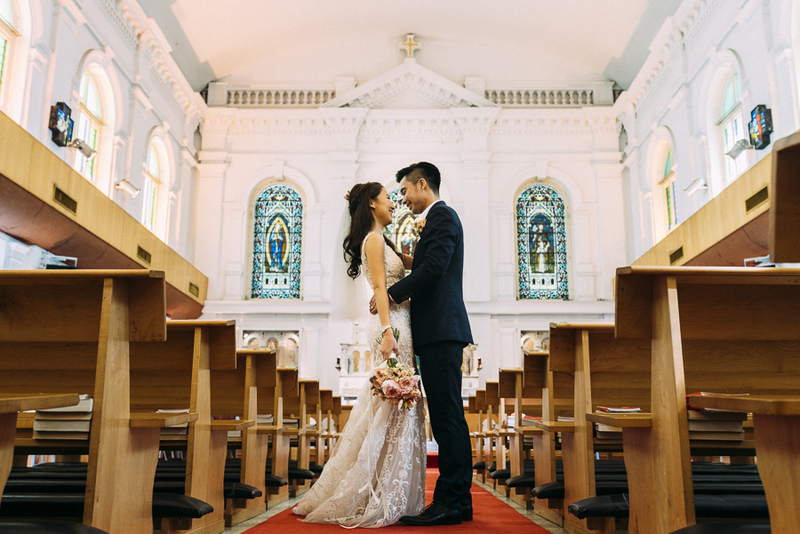 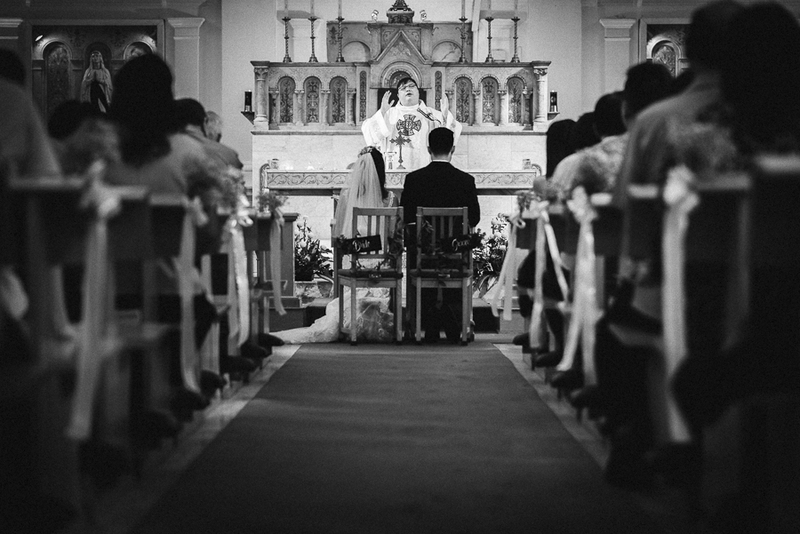 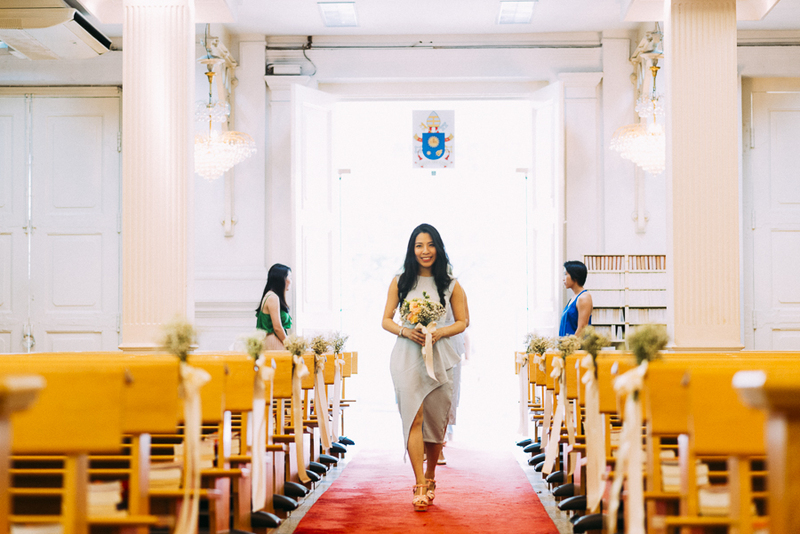 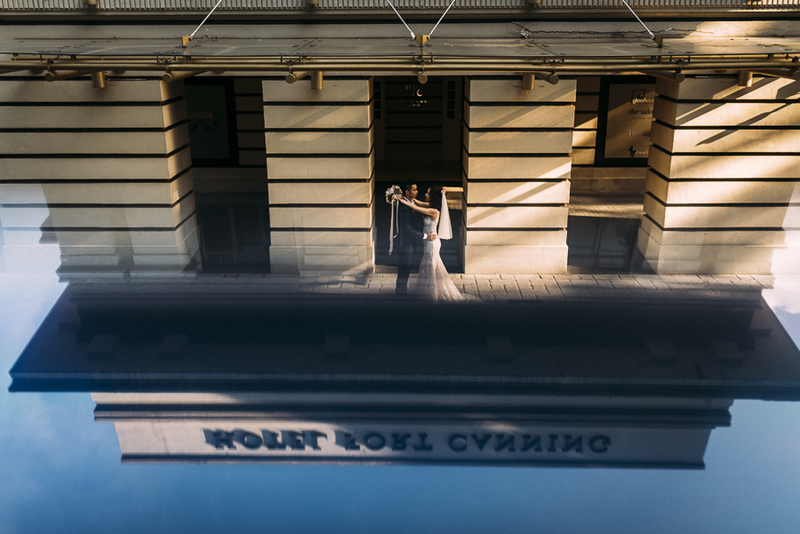 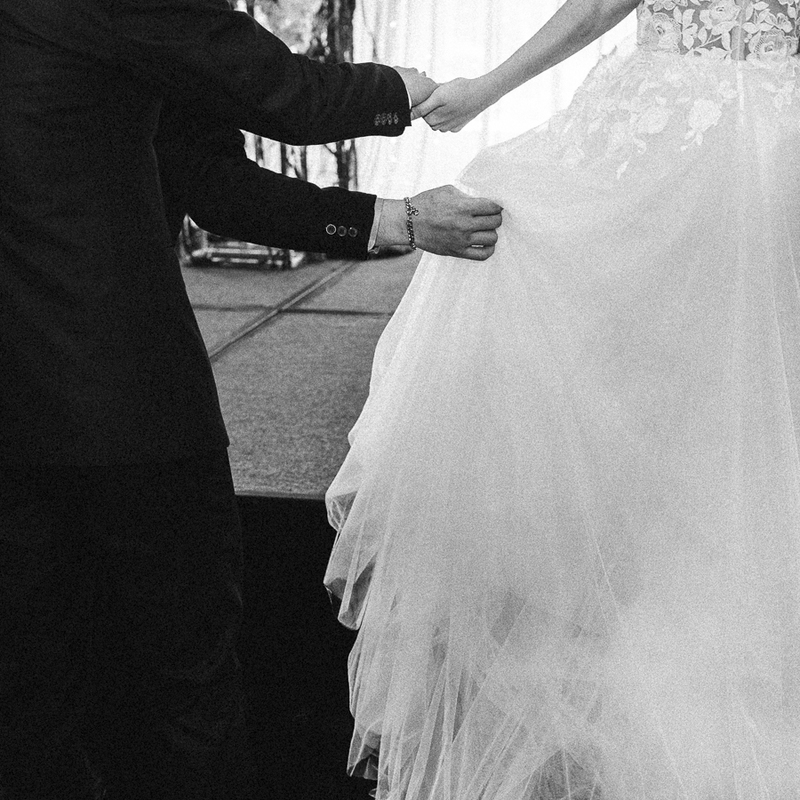 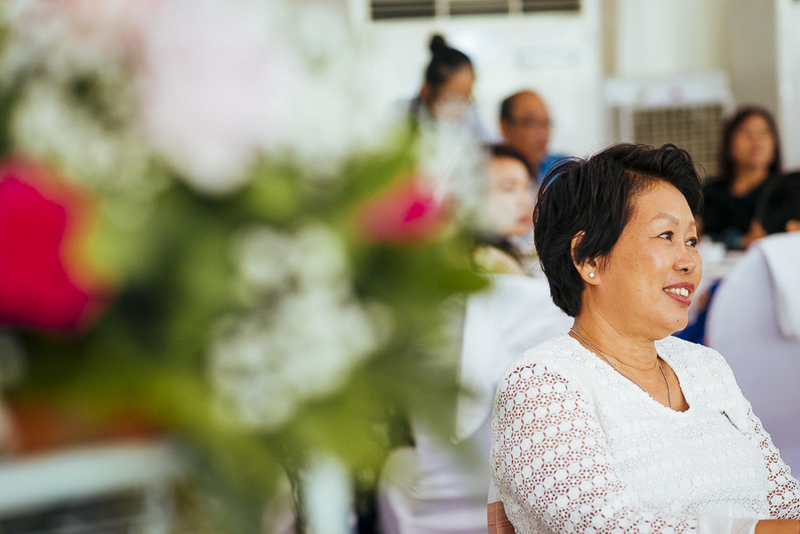 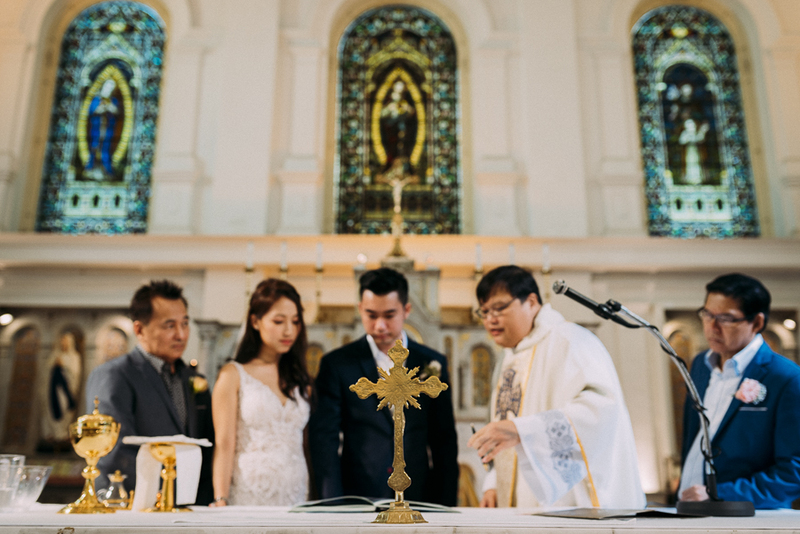 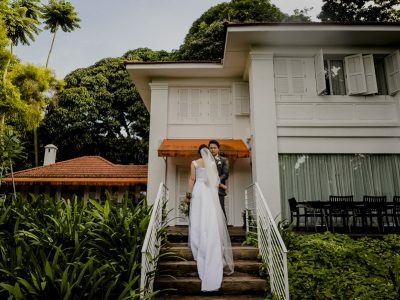 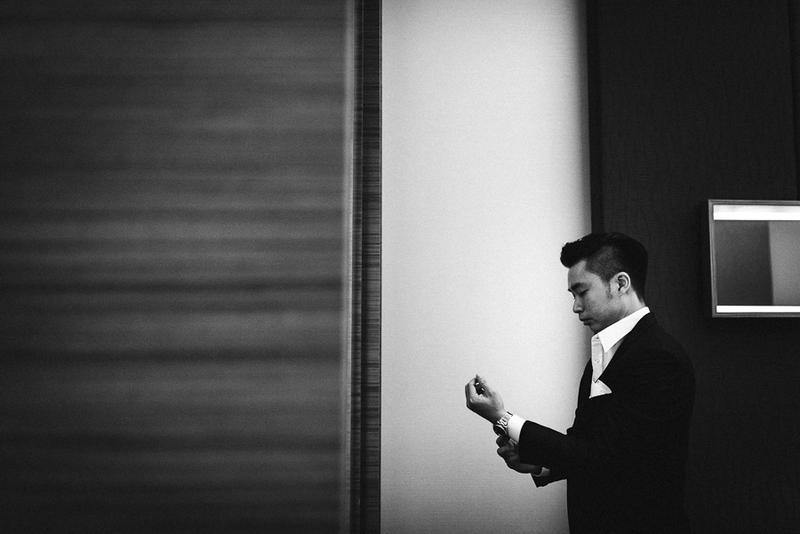 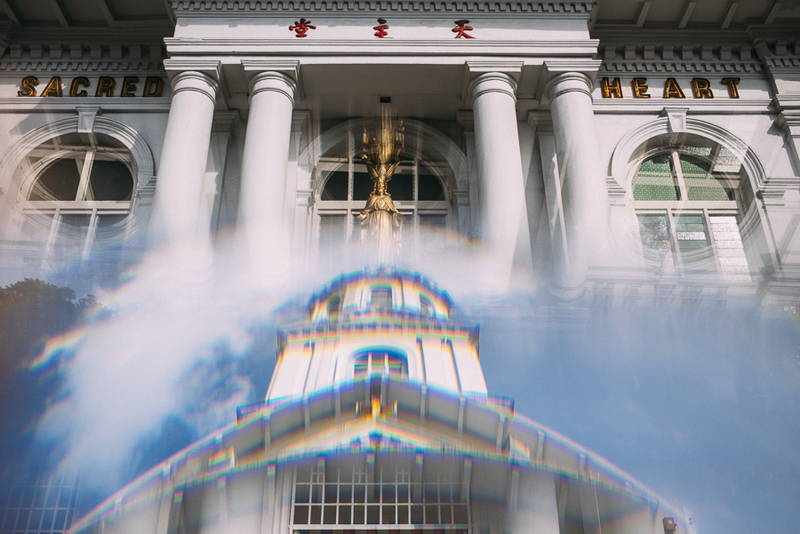 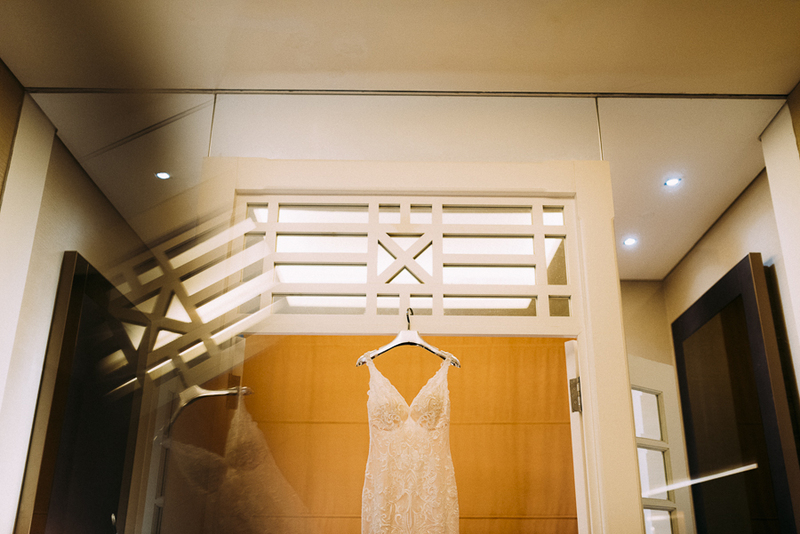 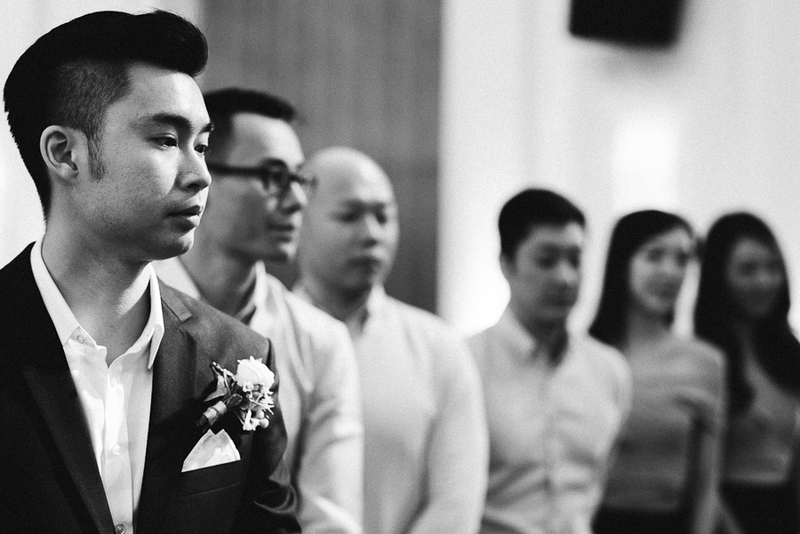 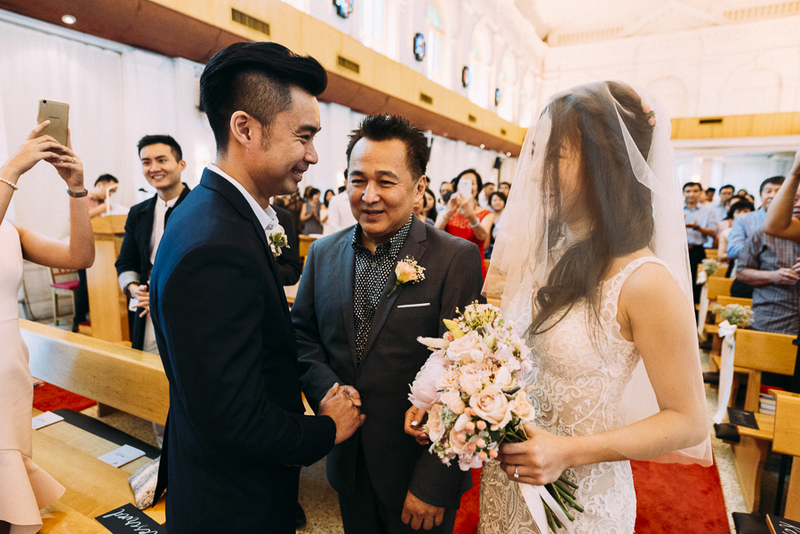 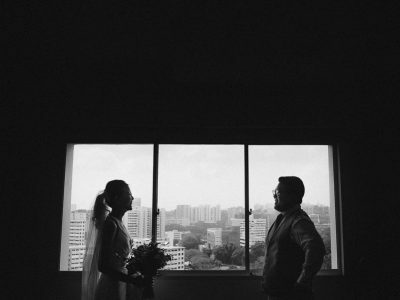 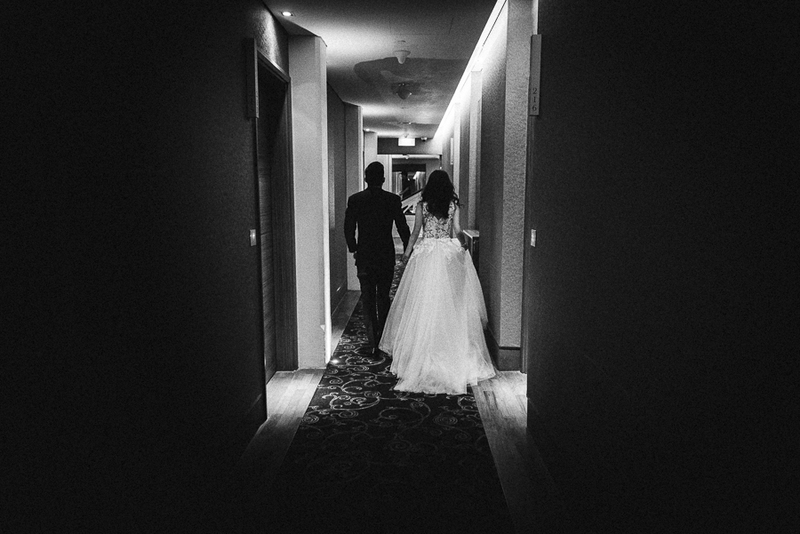 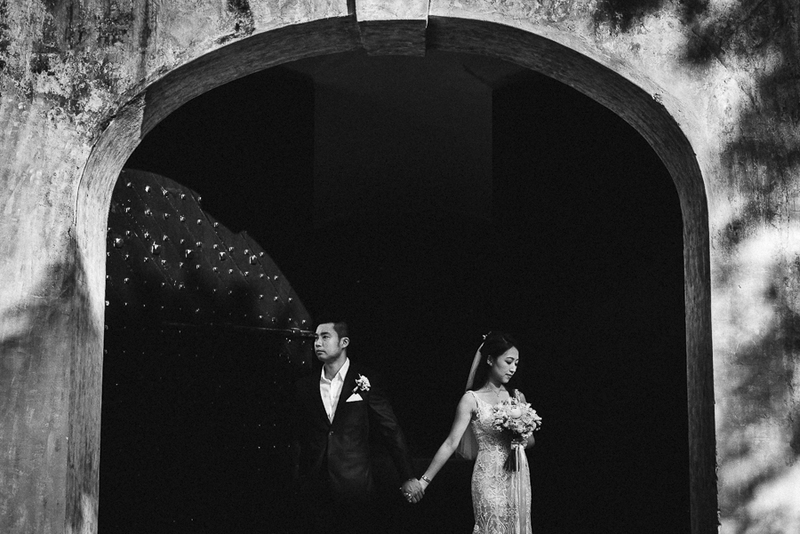 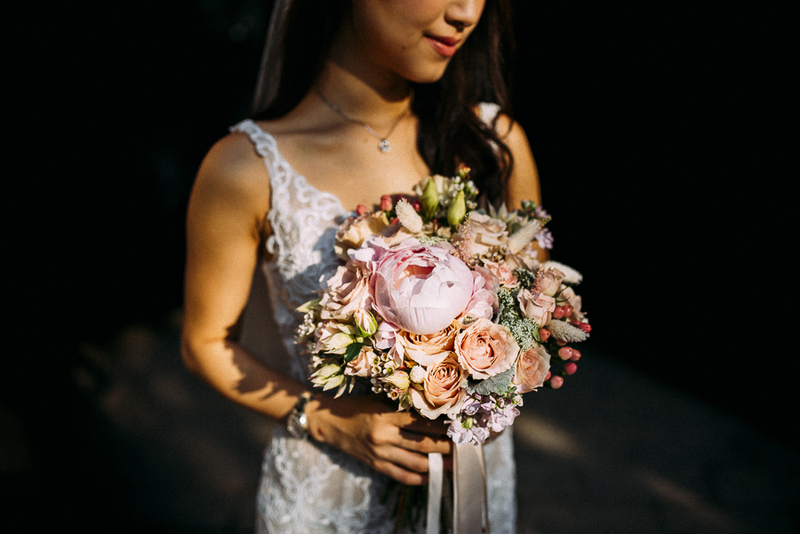 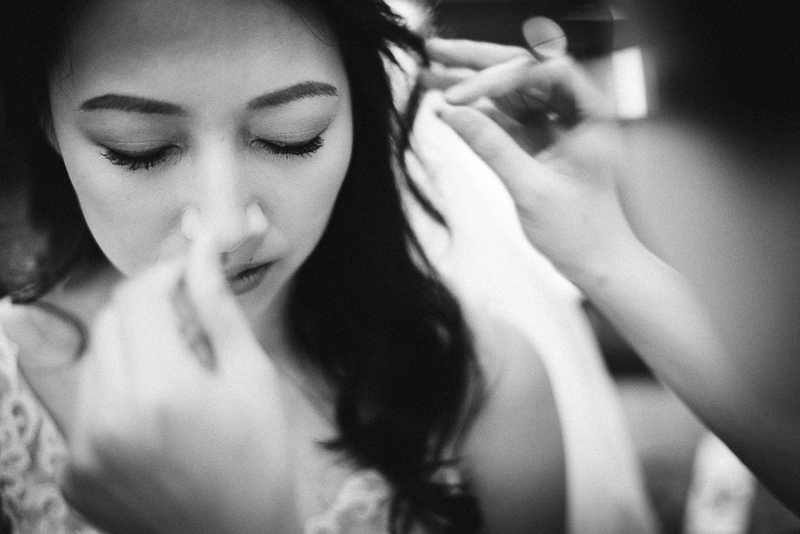 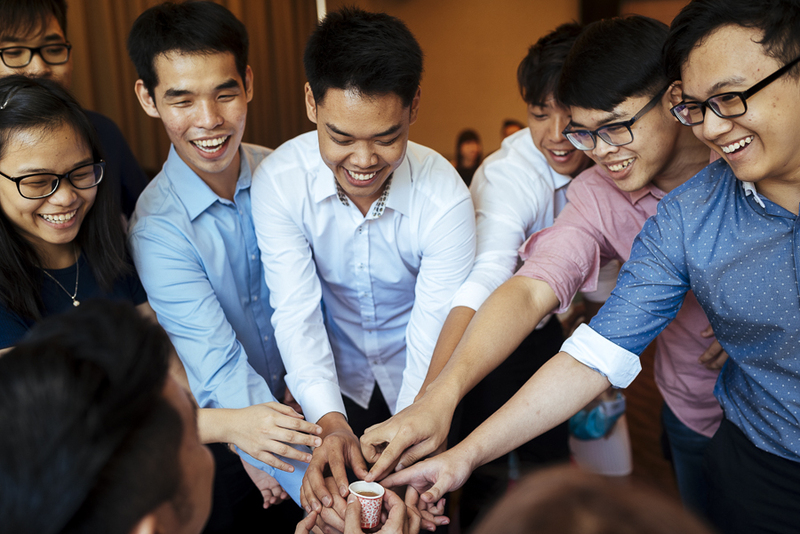 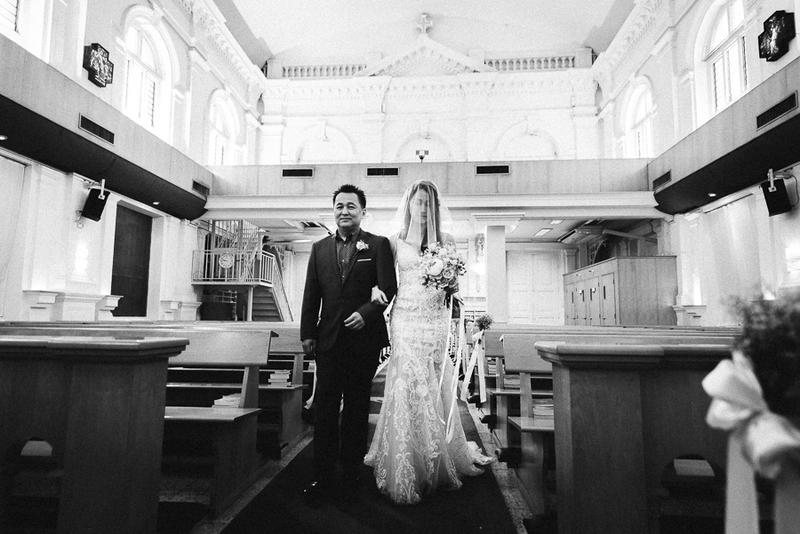 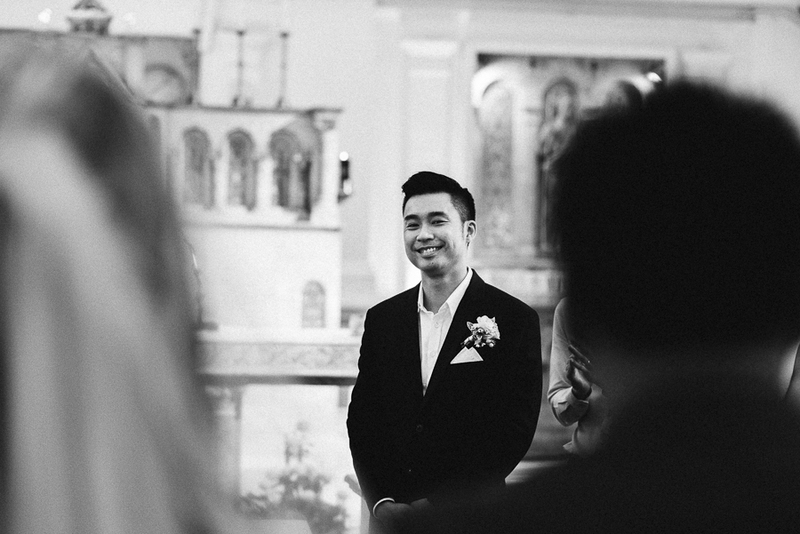 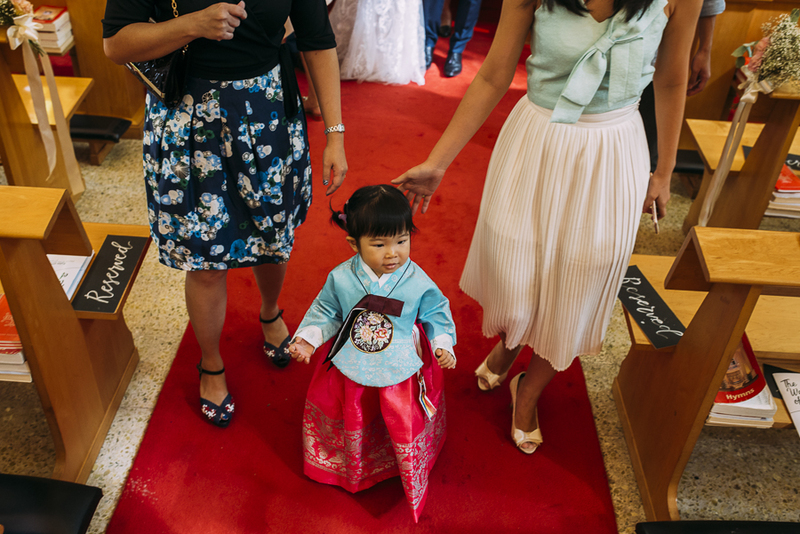 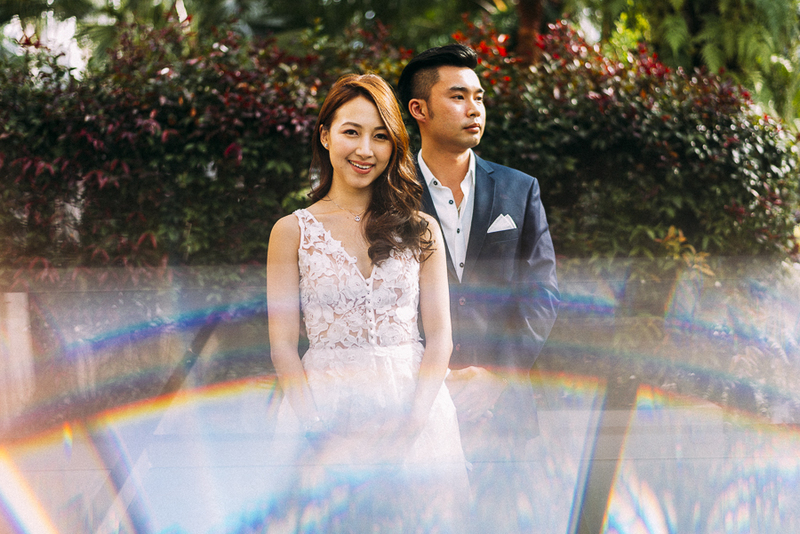 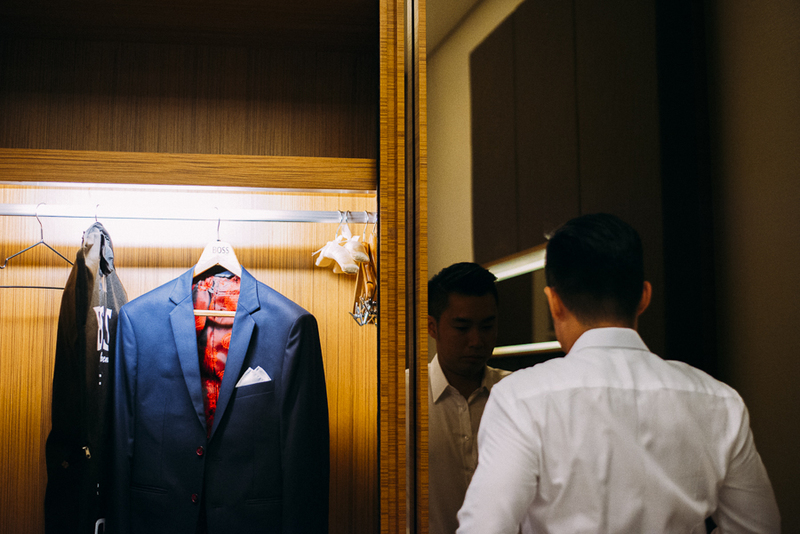 If I had to choose one wedding that I had been looking forward to this year, it’d have to be Kelvin and Fiona’s wedding which was held at Fort Canning Hotel. 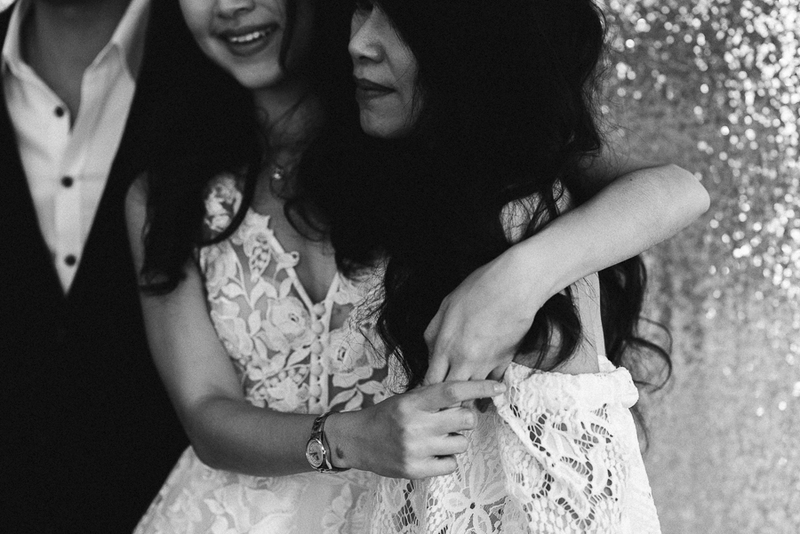 Fiona is one of my oldest friends and I’ve seen her grow up into the fine lady she is today. 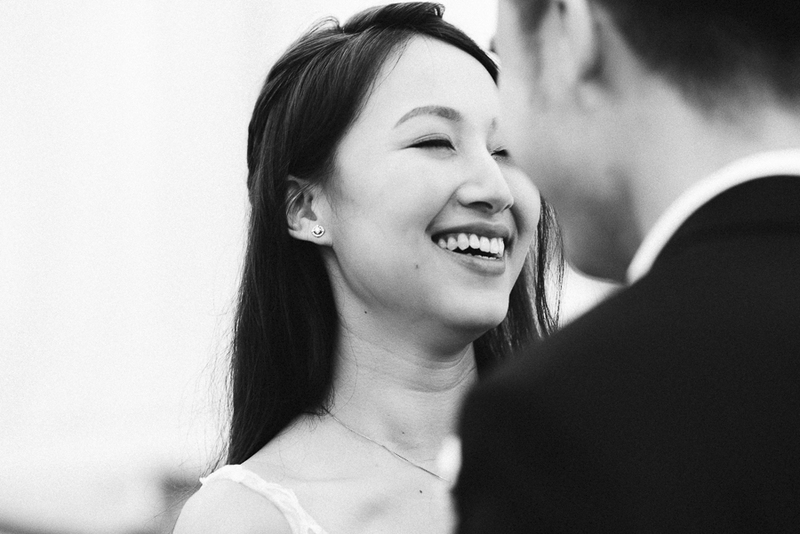 Who would have thought that a ring Kelvin gave her the first day they met would have led to this day. 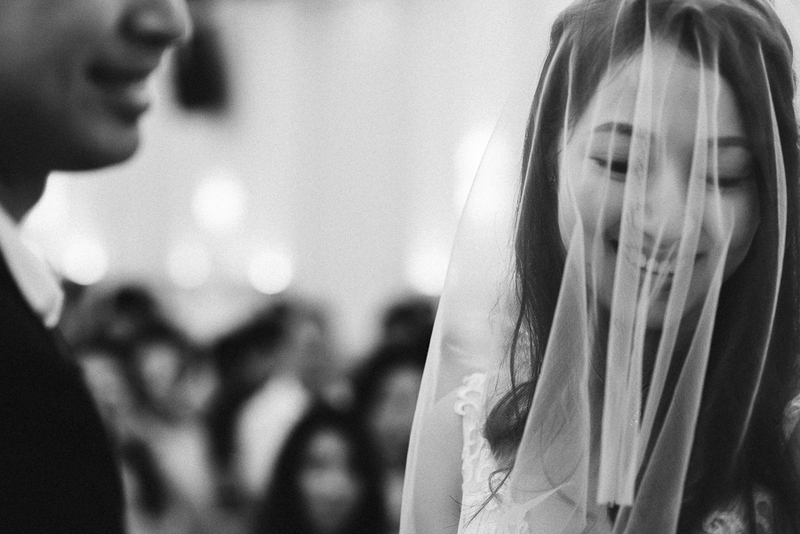 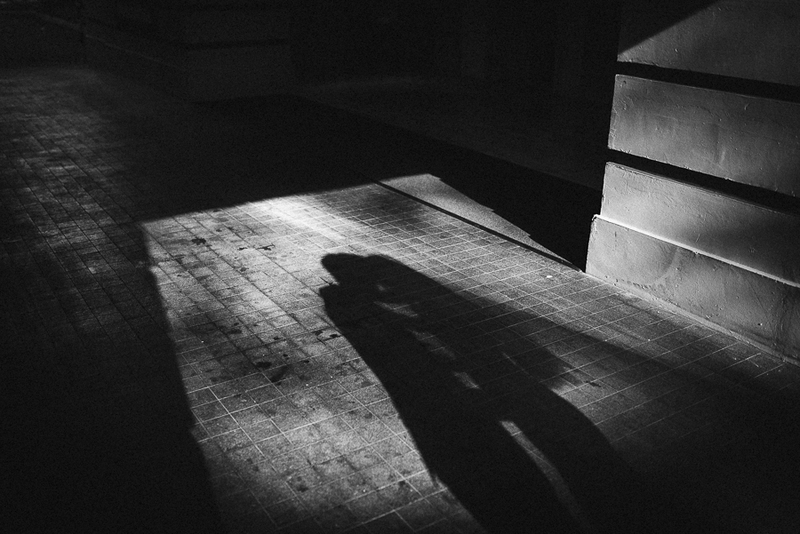 At every step of the way, he would glance over at her, making sure that she was well taken care of, and that she was enjoying herself. 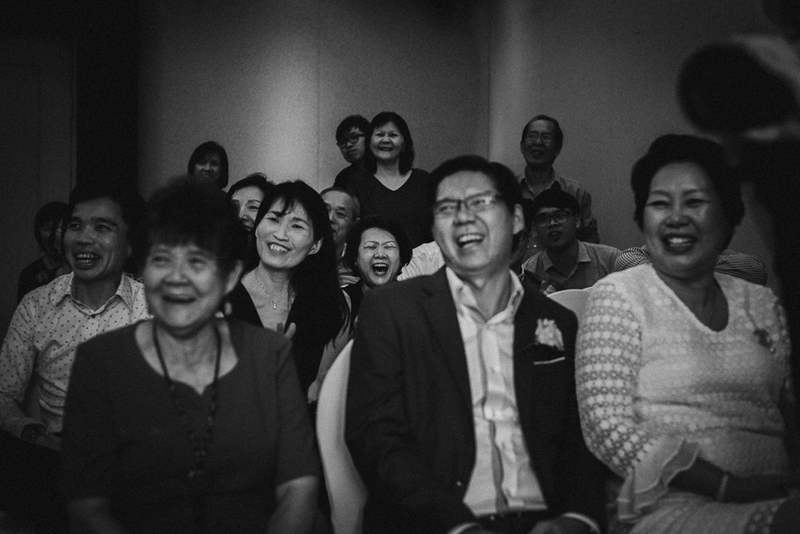 A smile, no – more like a grin, would breaks across Kelvin’s face, every single time. 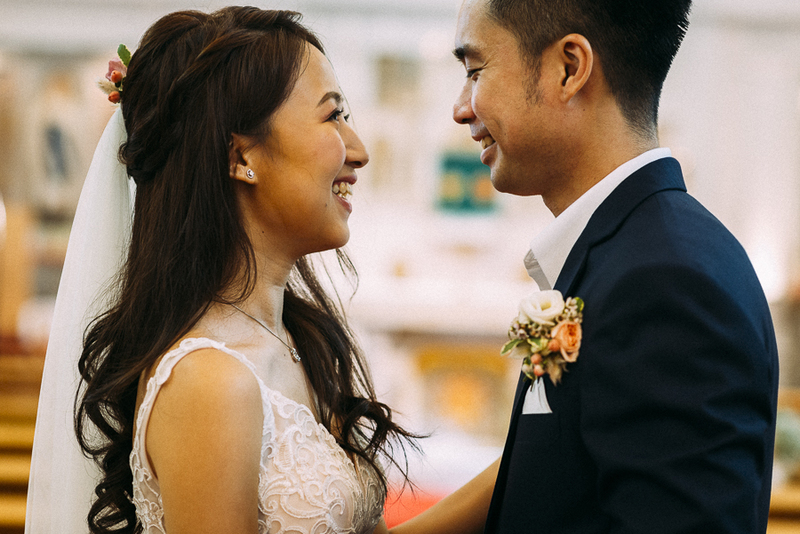 It was apparent to those around them, just how much Kelvin dotes on Fiona. 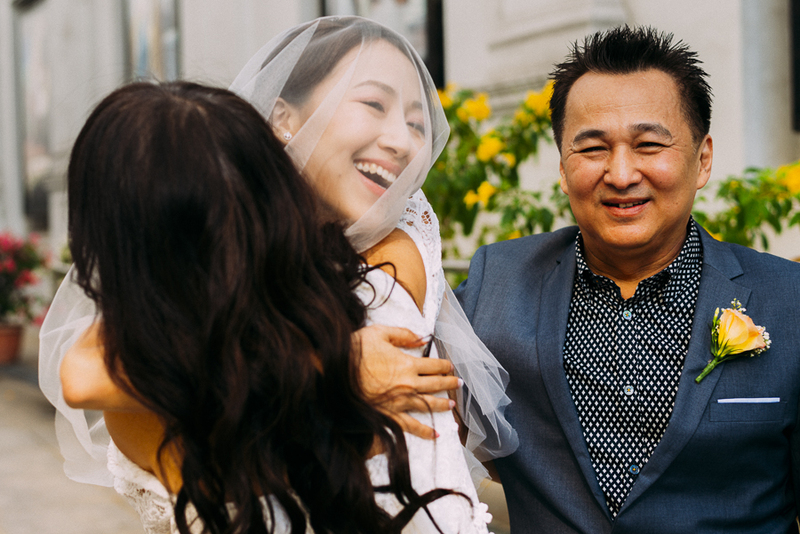 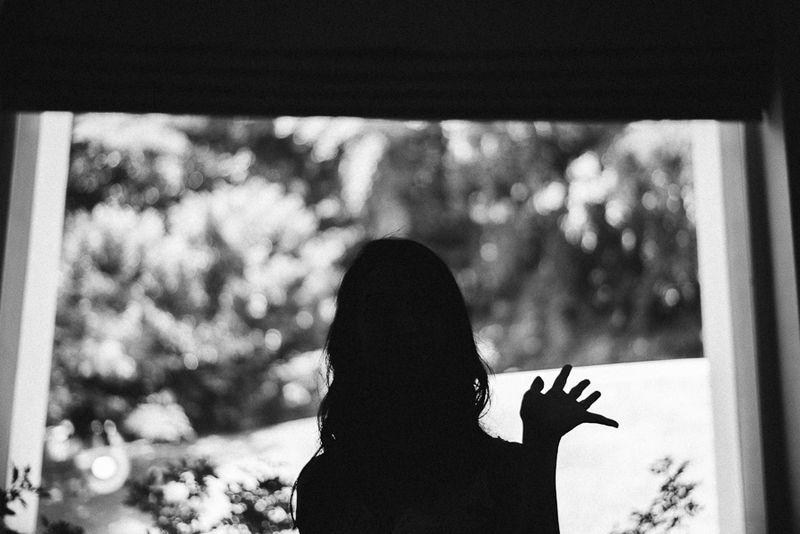 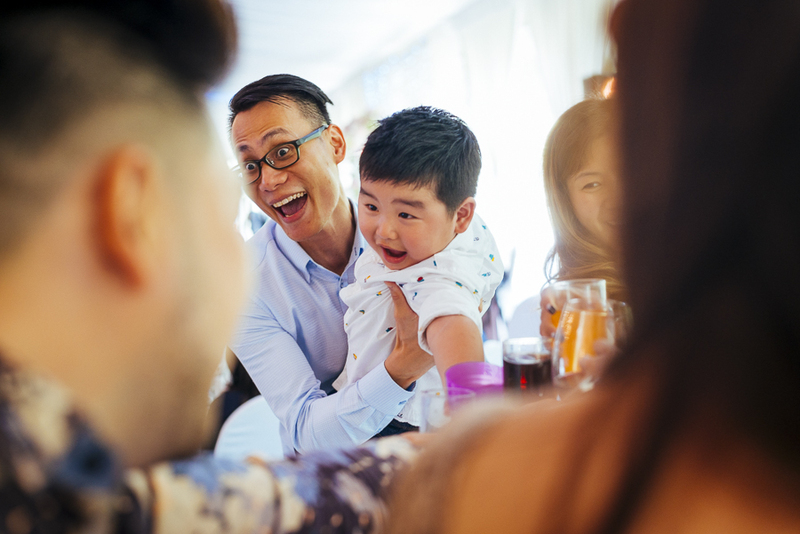 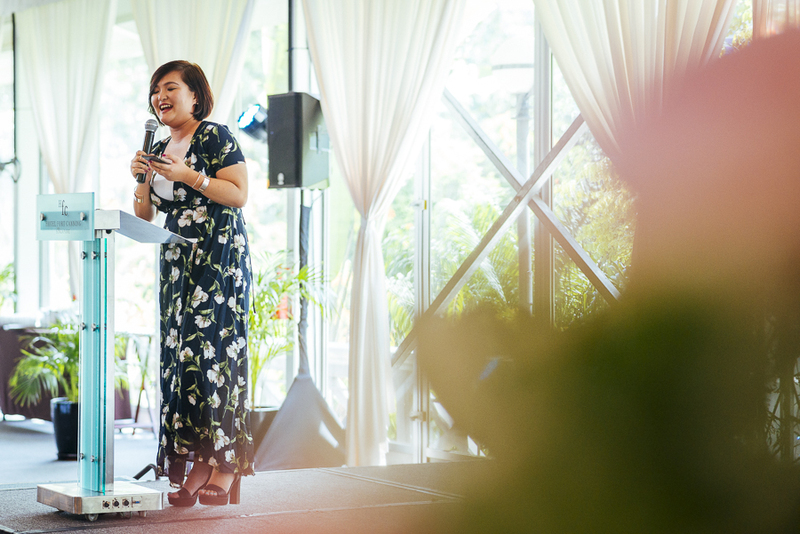 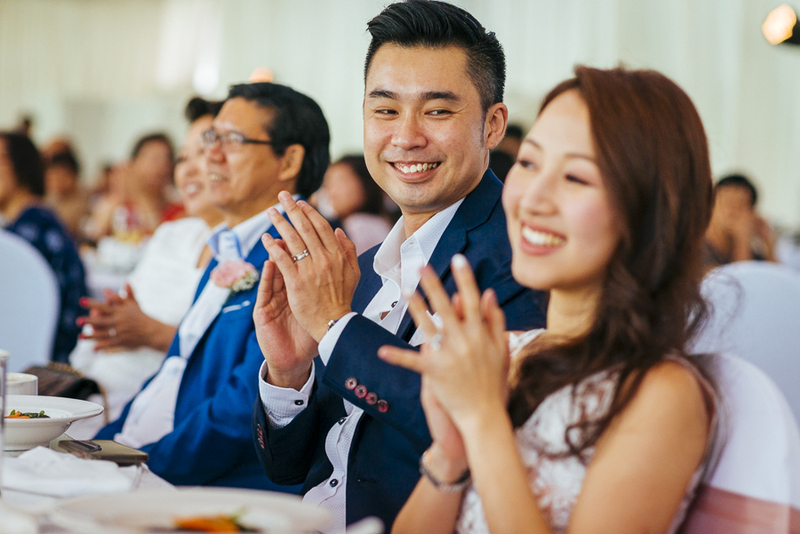 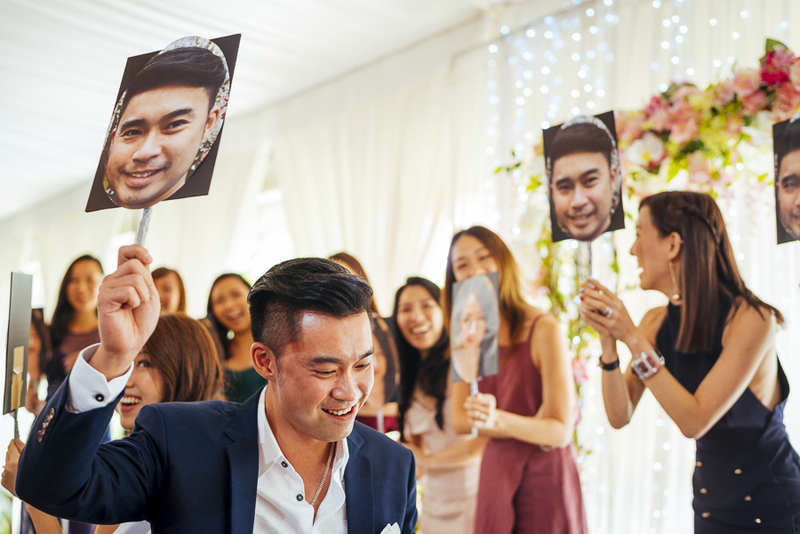 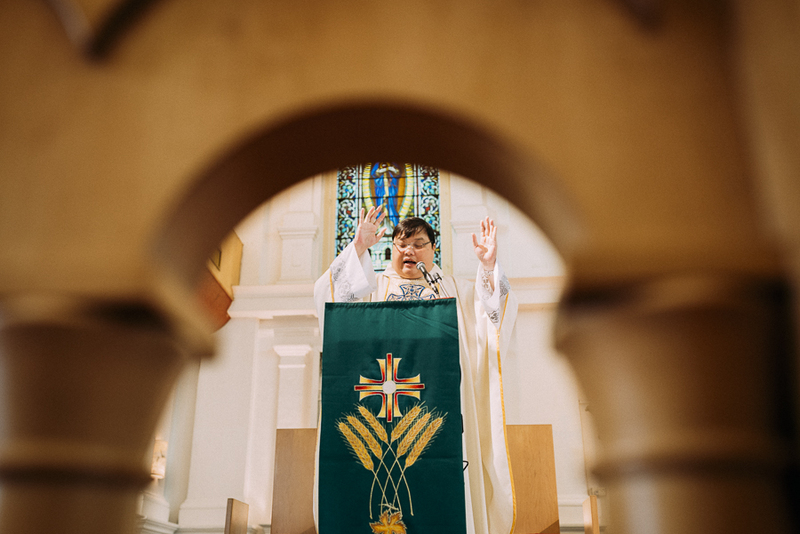 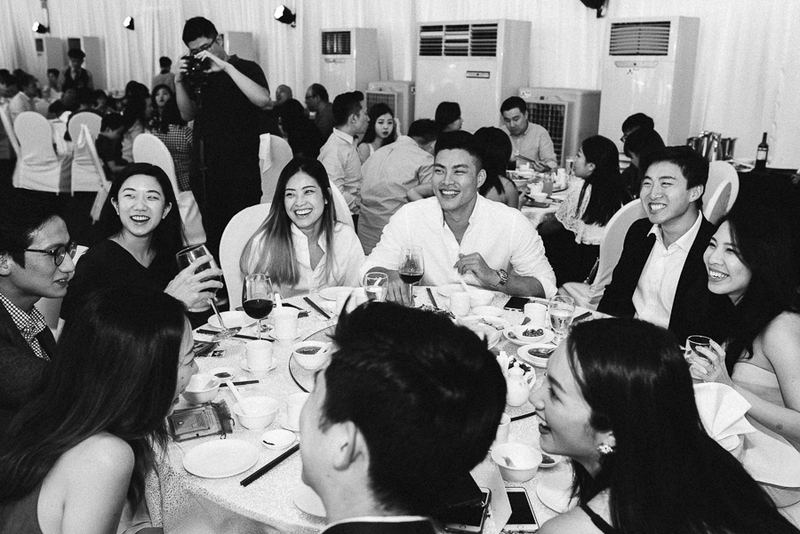 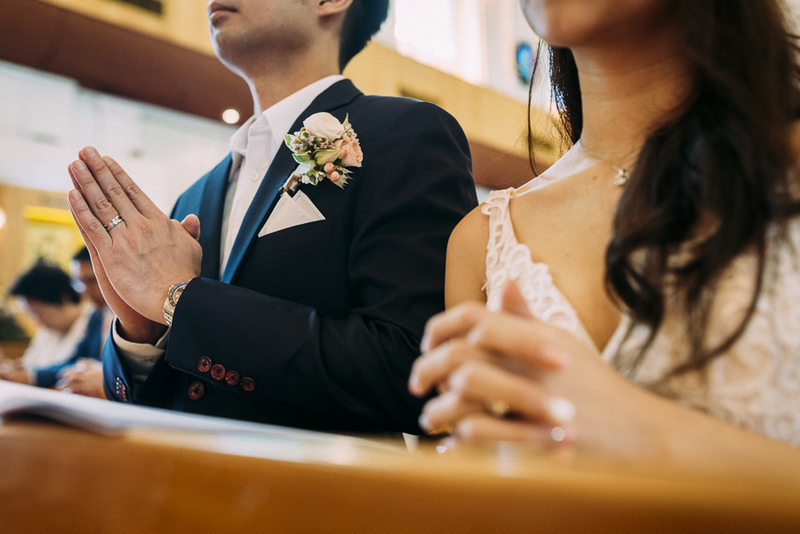 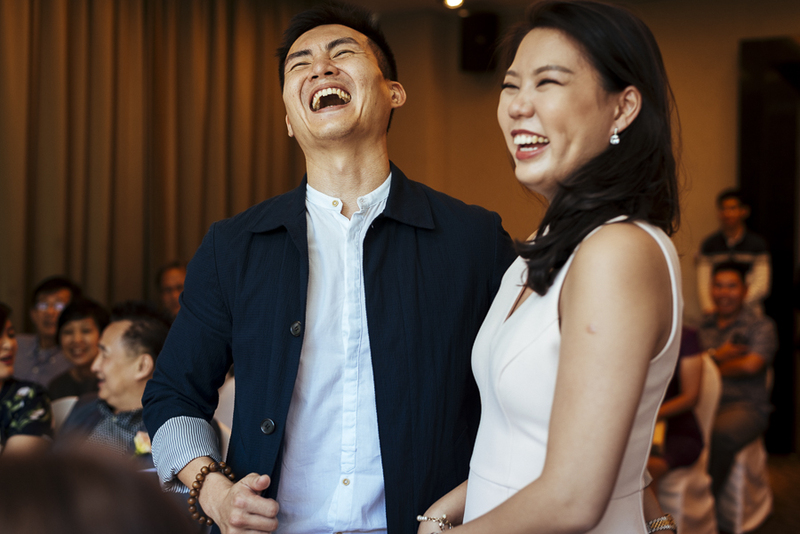 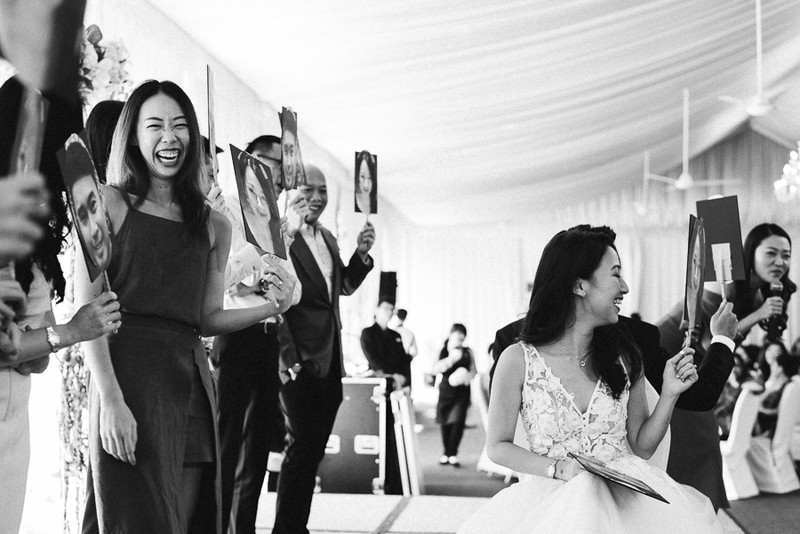 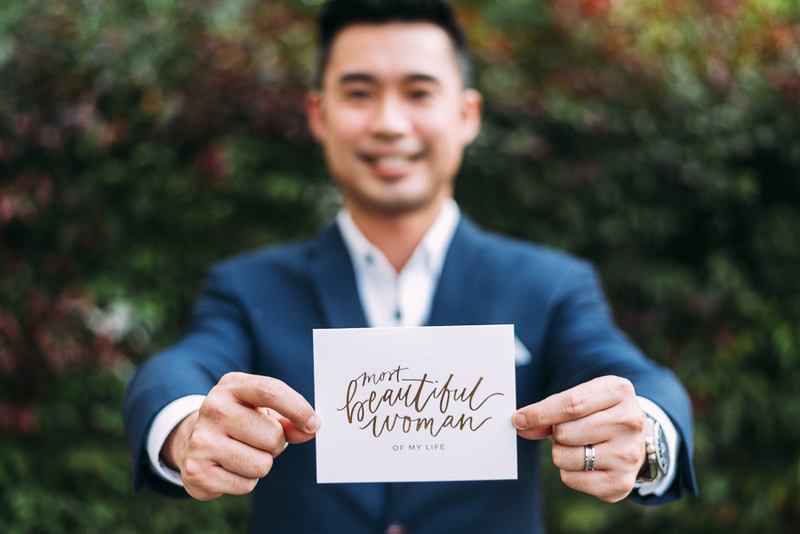 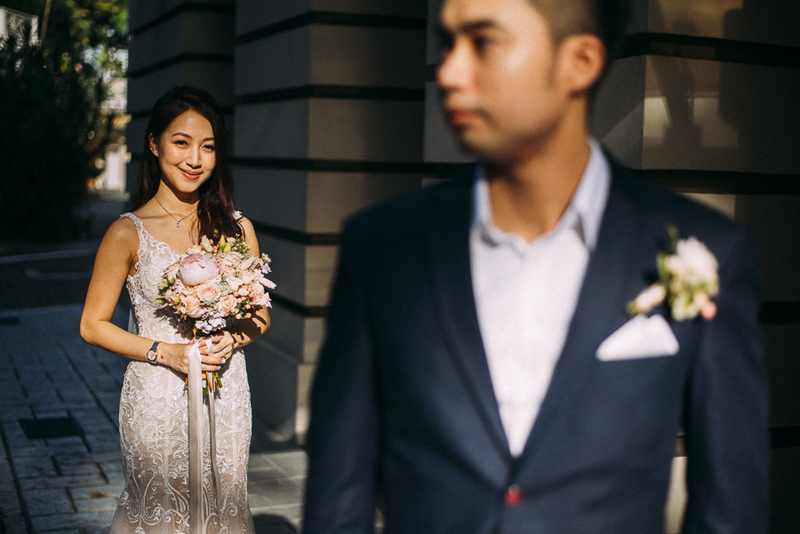 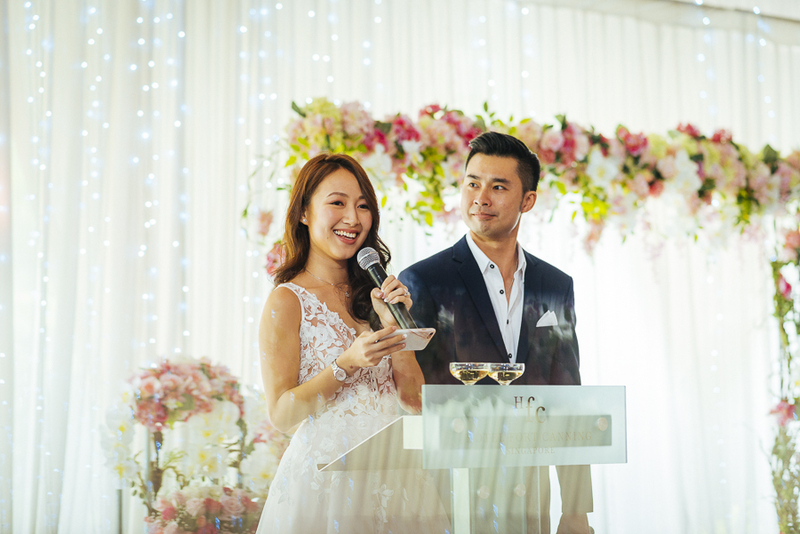 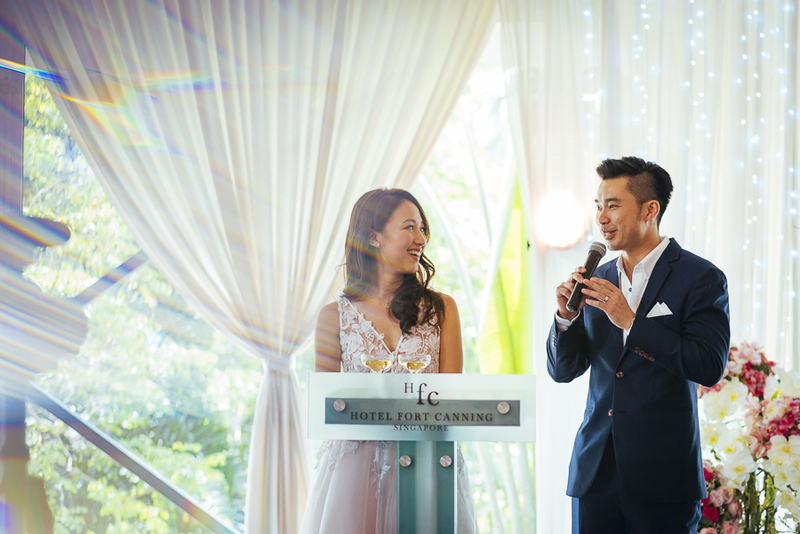 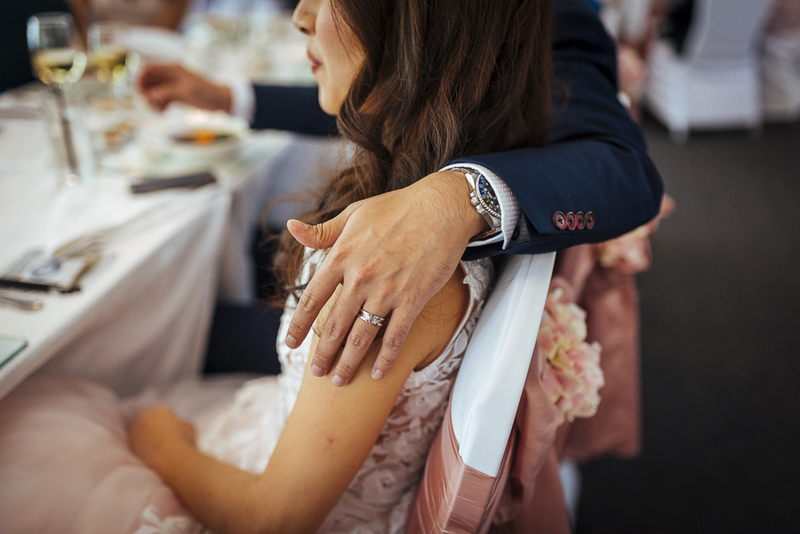 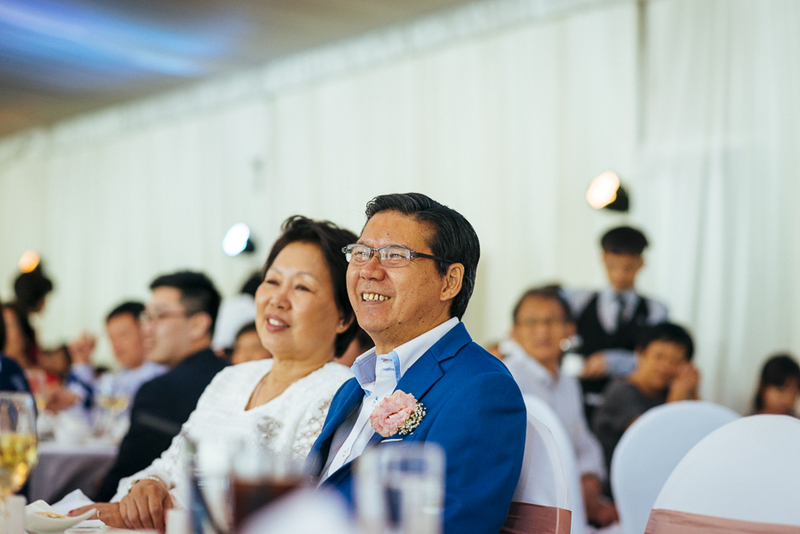 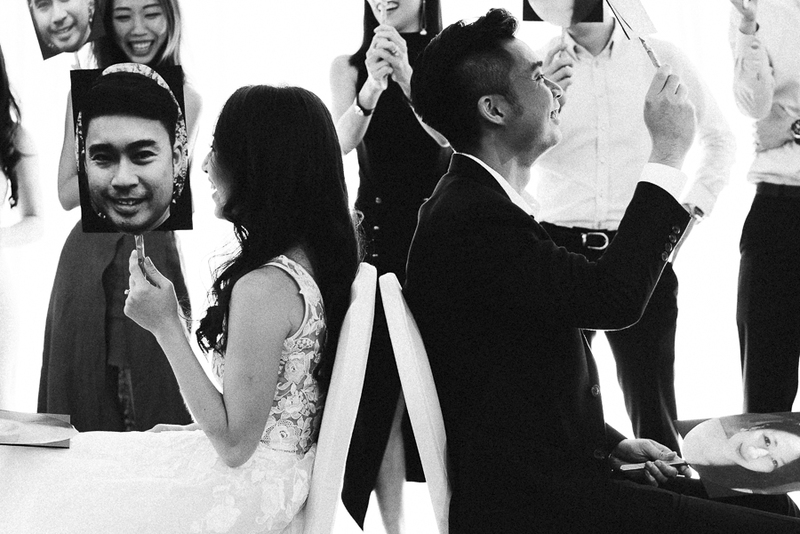 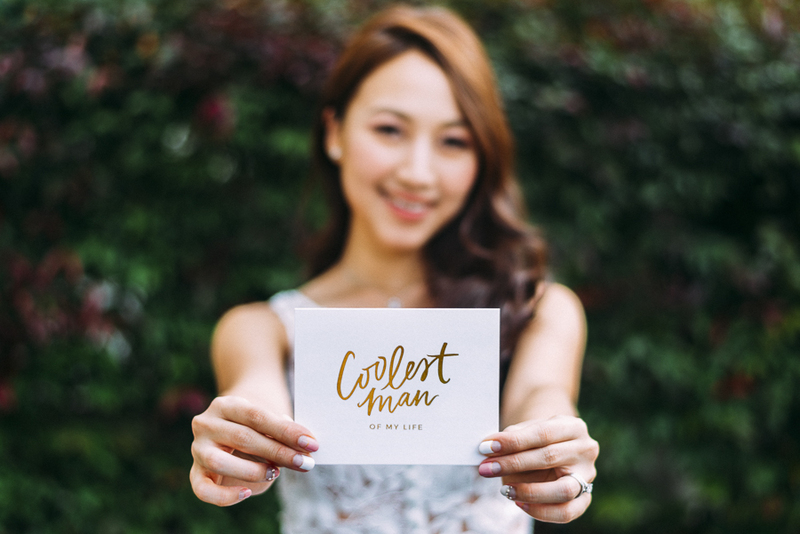 And to put the icing on the cake, Kelvin put his adoration into words, expressing his love for her on stage, catching her by surprise and bringing tears to her eyes – and those of the guests at the luncheon. 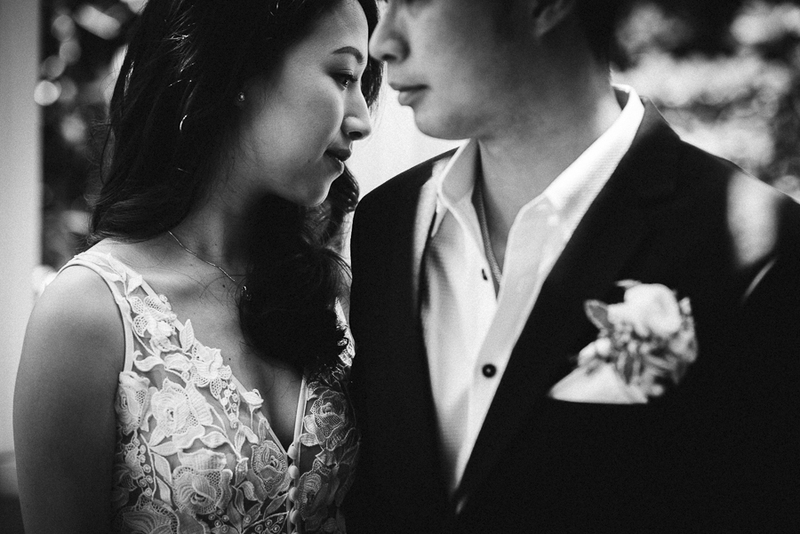 It was a real pleasure witnessing the union of these two, and getting to photograph them in the beautiful light that morning. 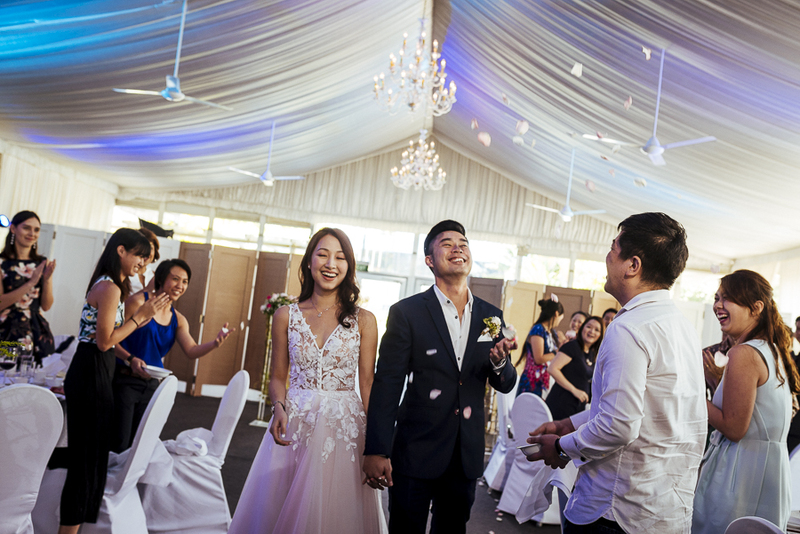 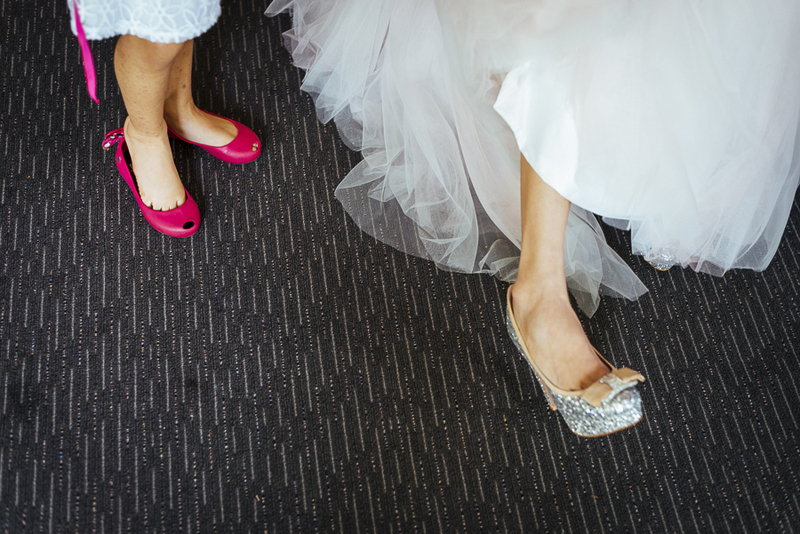 Wardrobe: Bride’s: The Wedding Crafters; Groom’s: Boss Avenue and Este Bartin.